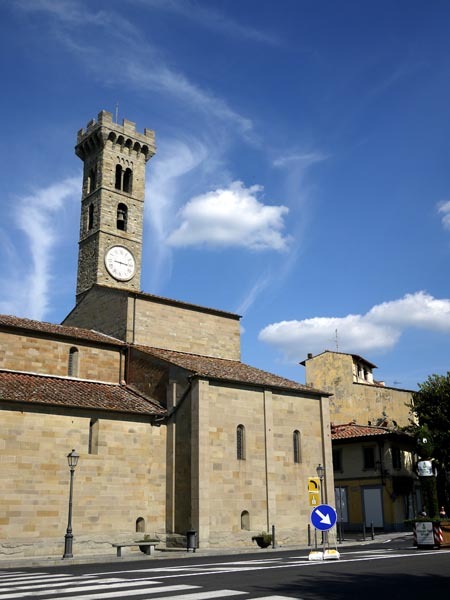 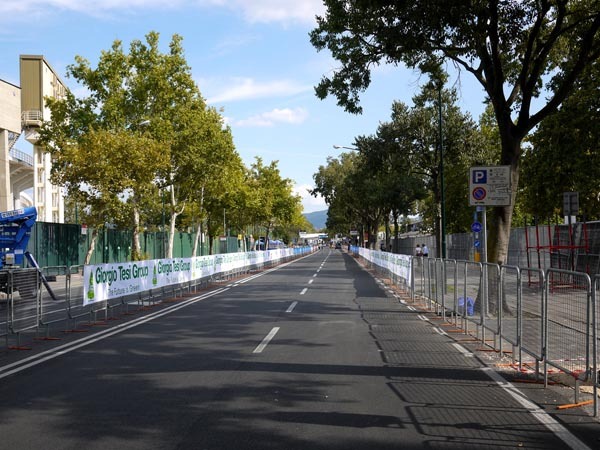 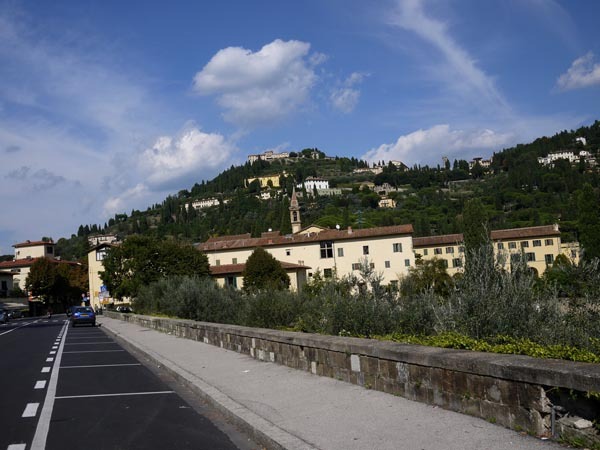 The undulating countryside and the ramps leading to Florence’s centre will tear apart this year’s World Championships road races. 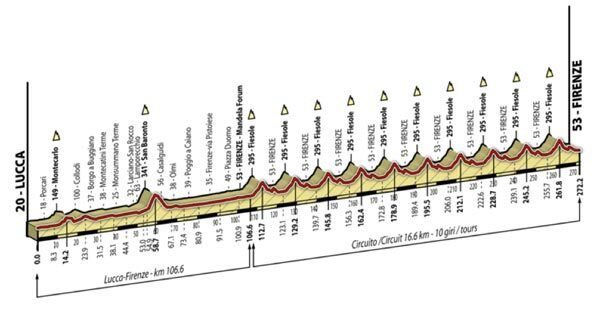 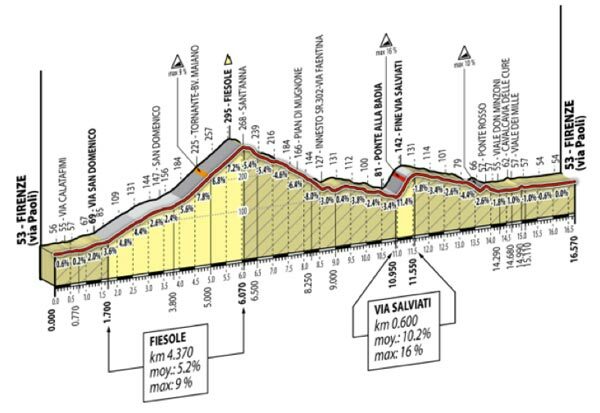 After a leg from Lucca, the circuit takes in three climbs: Fiesole, Salviati and Trento. 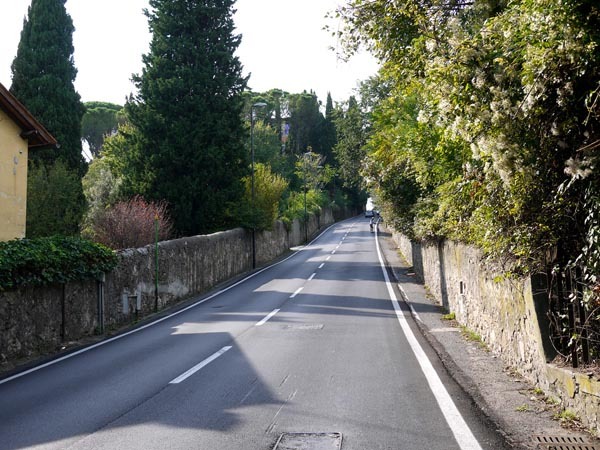 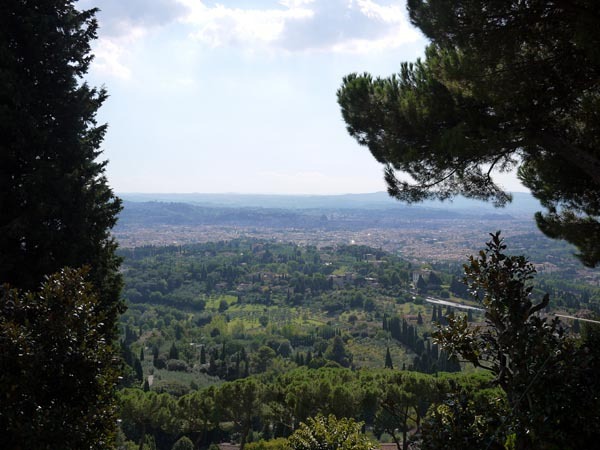 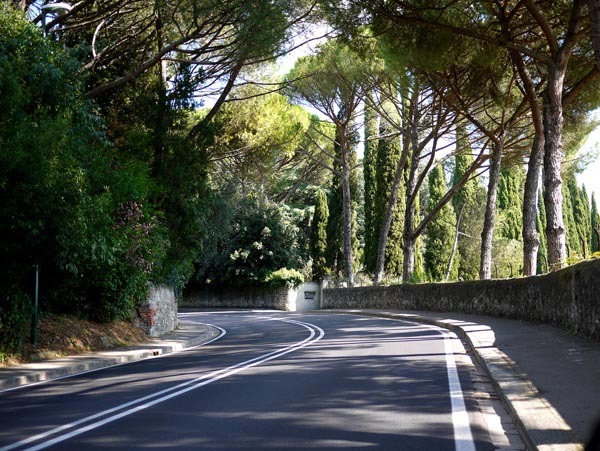 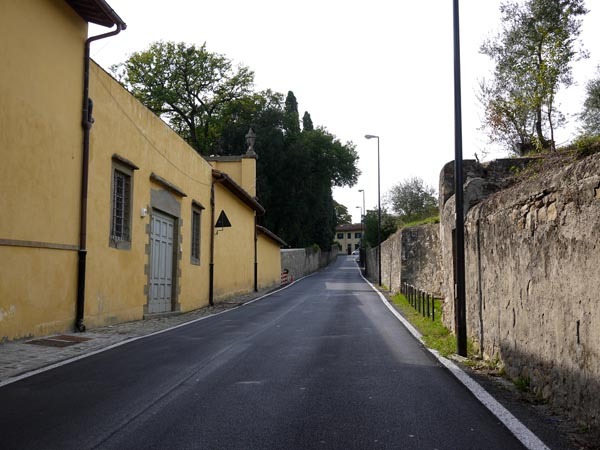 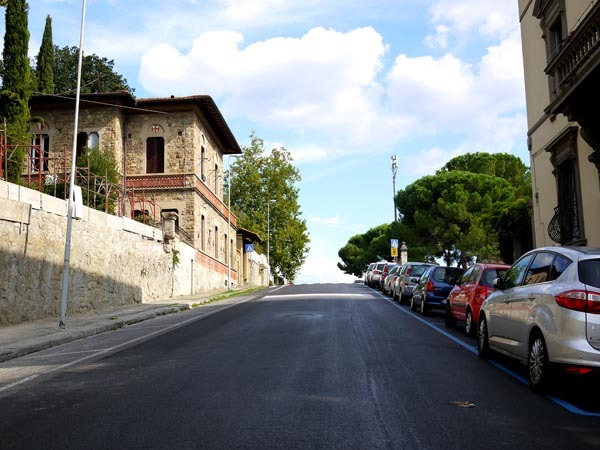 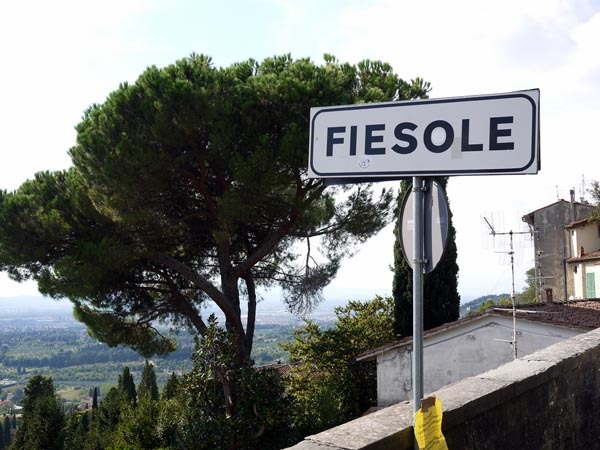 The road to the Fiesole, with its Roman amphitheatre and views of Florence, is gentle but 4.37 kilometres long. 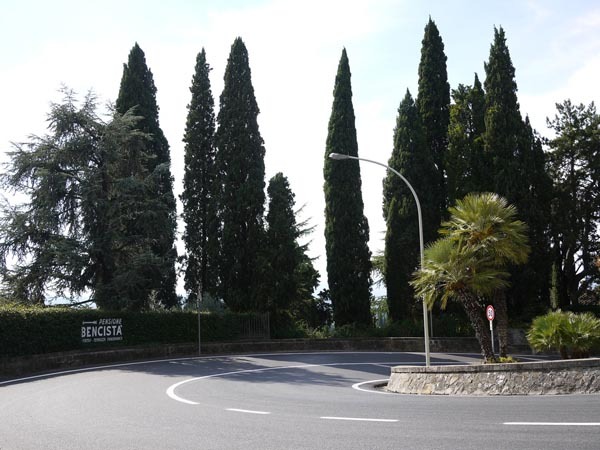 Its grade reaches nine per cent before crossing the town. 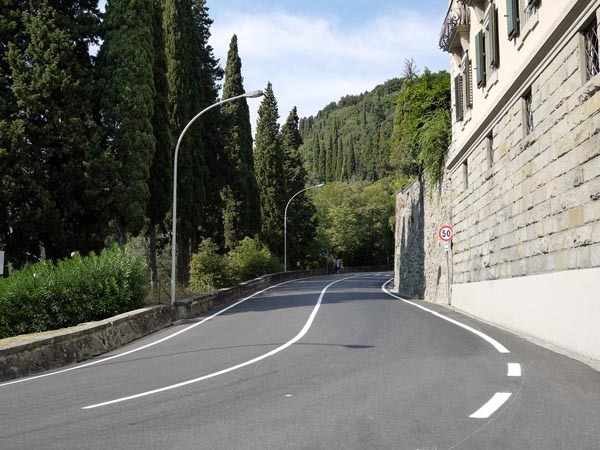 After squeezing through its centre, the descent is smooth but twisty. 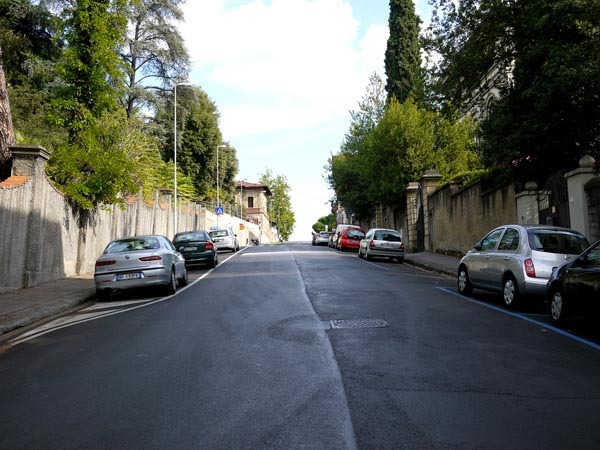 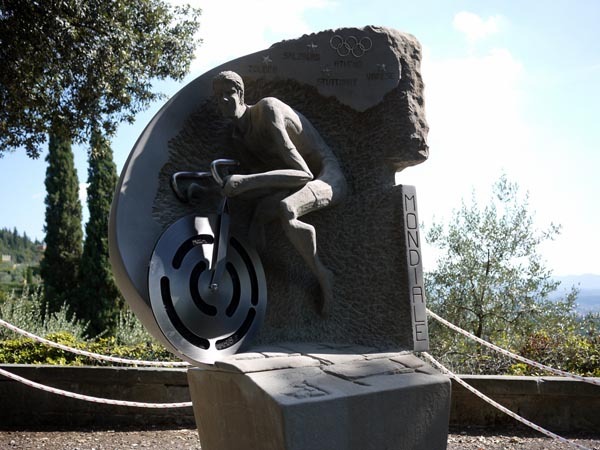 If the climb to Fiesole was a cappuccino, Via Salviati and Via Trento are caffè ristrettos – short but strong. 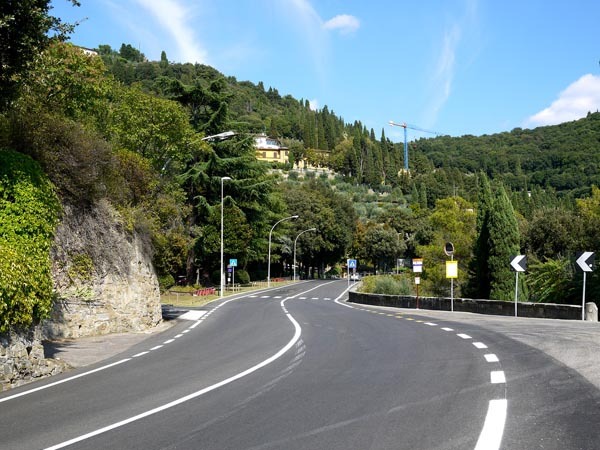 Instead of heading directly into Florence on the SR302, the course turns a sharp right, killing any momentum, onto Via Salviati. 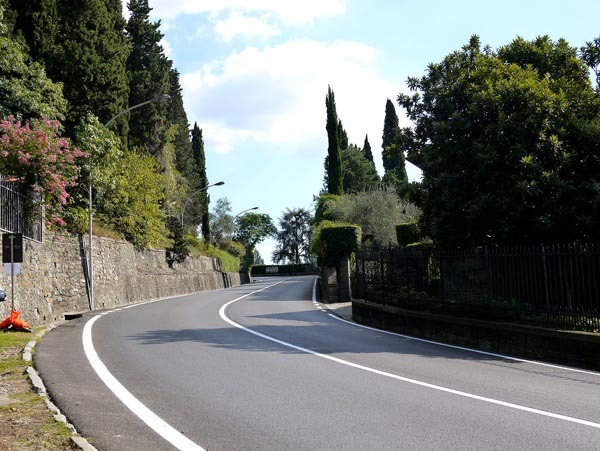 The road kicks upwards in two sections, both equally steep, and levels off at the top after 600 metres. 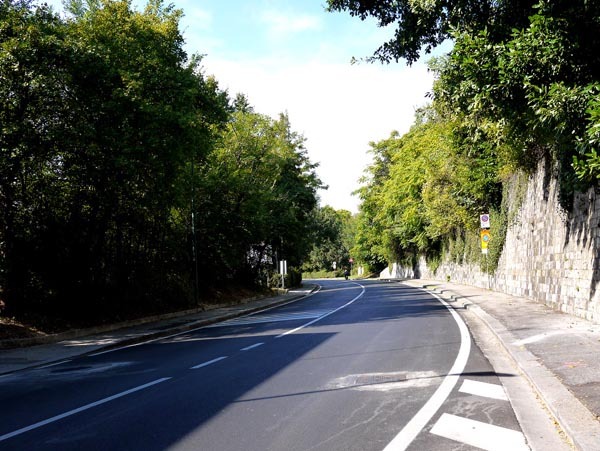 Once in town, Via Trento shoots up 200 metres to cross a train line and start the final 2.68 kilometres.